Shopping at ZARA is something I like doing, but it is not my go to. Where I am constantly stalking H&M for basics and Asos for shoes, ZARA is the place where I find those one off pieces that give some extra spice to my wardrobe. These are some of my best finds from ZARA. This jacket was a complete impulse buy. I actually went to Amsterdam to return an online purchase to Urban Outfitters. 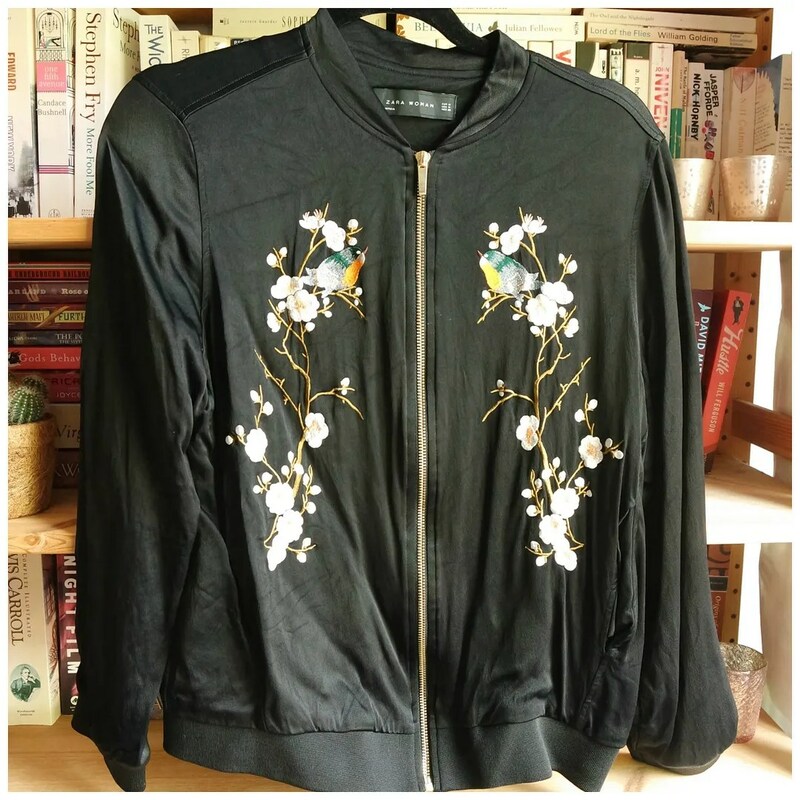 But then I spotted ZARA and this embroidered jacket. It has a silk look, goes with so many outfits and is a statement piece at the same time. My favorite way to wear this is with an all black outfit to make the jacket stand out even more. 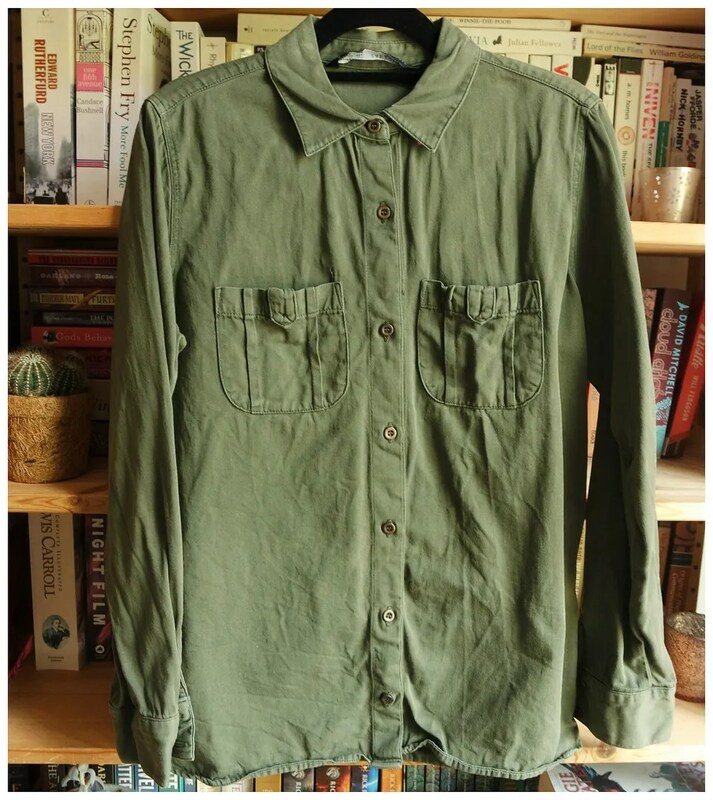 An army style blouse is a great staple to own. This is a sturdy cotton blouse that is a bit thicker than your average blouse. This makes it perfect for the fall. The khaki green color makes it a good neutral that pairs well with jeans and a t-shirt. I love wearing this open for an extra casual look. And it’s been a staple for years. I featured this in an outfit post in 2011! 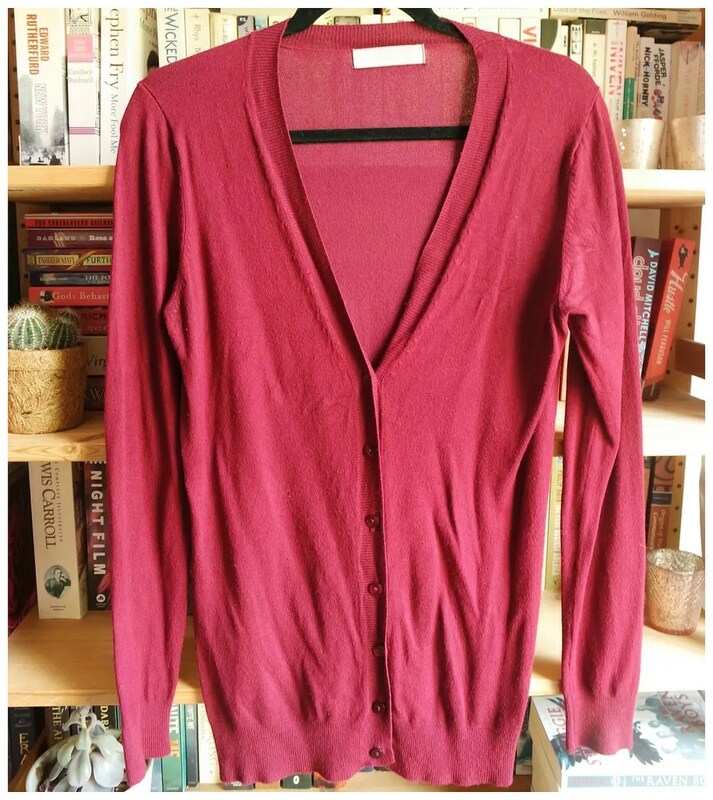 My obsession with cardigans is well known, but burgundy cardigans hold a special place in my wardrobe. They make any black and white outfit extra autumnal, pair well with greys and go with almost everything. This cardigan I have had for years and I have mended it multiple times. It is lightweight and not too bulky, which makes this perfect for throwing on. ZARA dresses are not my favorite. They barely fit, but this knitted number was a score when I found it on sale. Its geometric pattern makes it a great casual dress and the monochromatic color scheme very versatile. Because it is stretchy, it is super comfy too and the thick material make it perfect for the winter. For a retro, 60s look a mini skirt is a must. 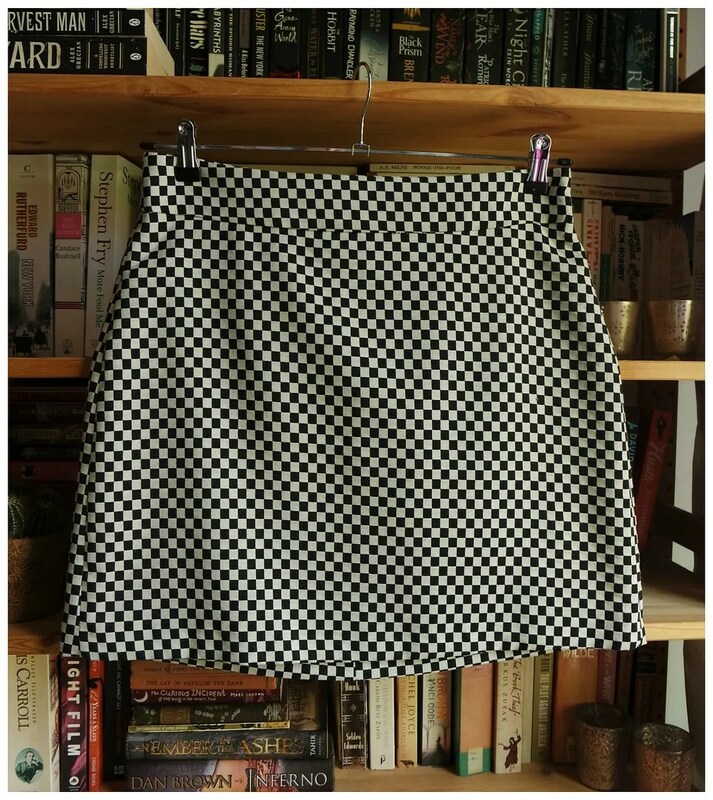 This checked pattern skirt tickes all of those boxes. It was one I spotted on a mannequin which is another rare occasion for me. I hardly ever like the way items are styled in store, but this immediately caught my eye. It is short, but can still work dressed up or dressed down. ZARA’s online experience is not my favorite, but it is how I found this pair of shoes. The shiny patent leather look. The Mary Jane style. The heel height. 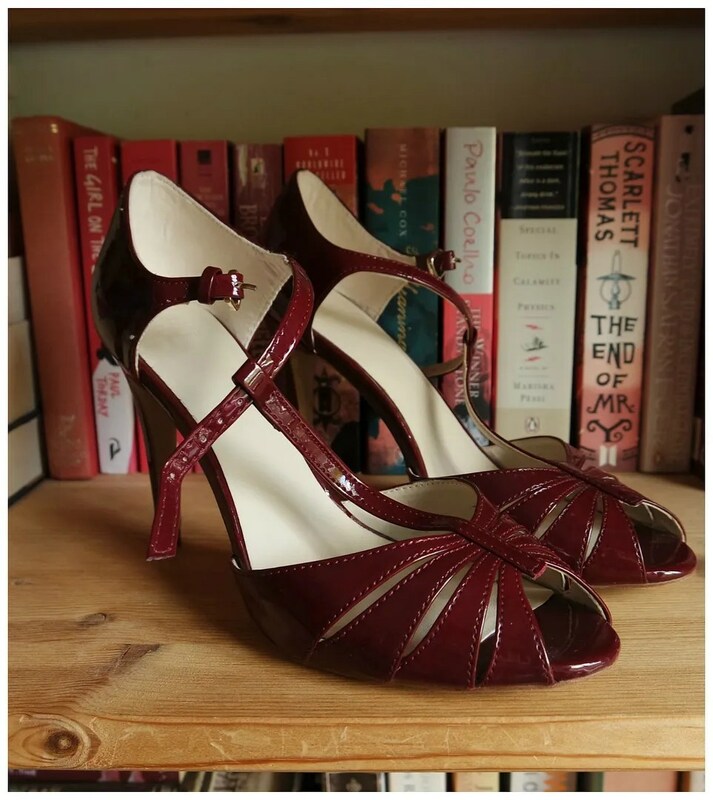 Everything about this shoe is perfect. I don’t wear them too often, but this is a great special occasion shoe that can bring any outfit to a higher level. 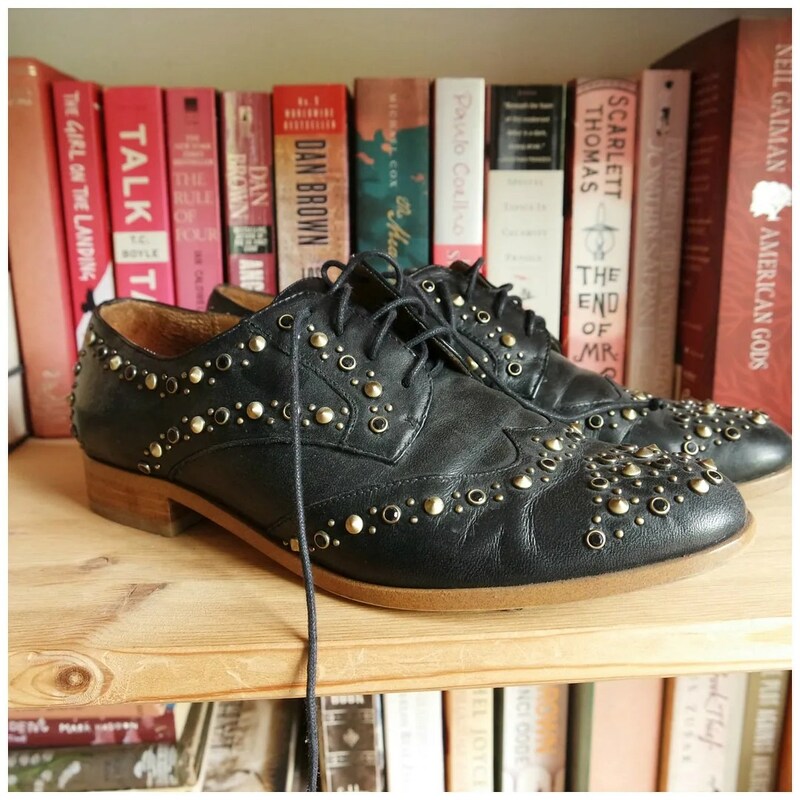 Another sale find: this pair of leather brogues. It was the last pair in the store and it was my size and they were insanely discounted. I paid less than 30 euros for this pair of shoes. I wear them mostly in the spring time to add a boyish touch to overly girly outfits such as dresses and skirts. What do you like to shop for at ZARA? 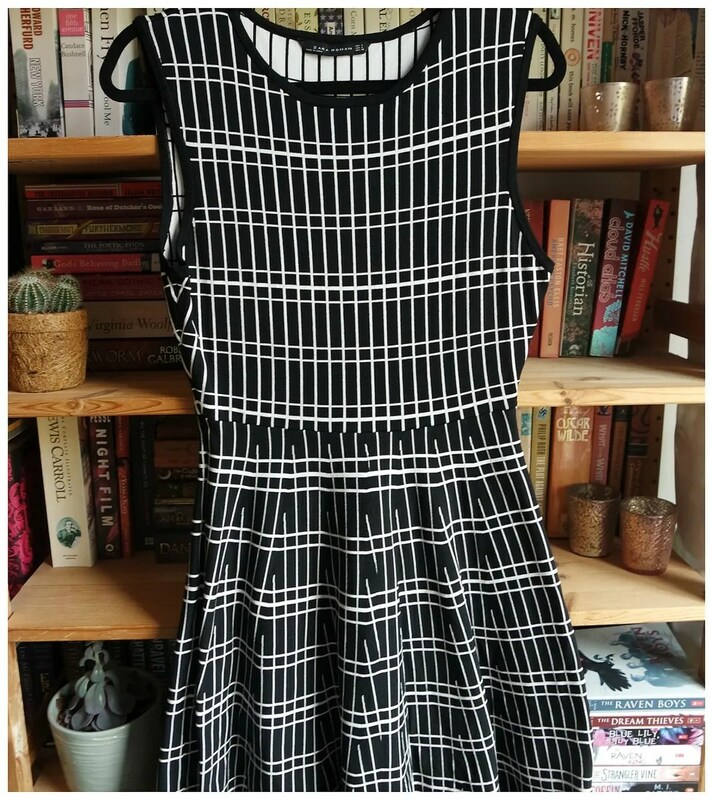 I love that geometric dress! I wish I shopped at Zara more but I find the experience so challenging because every time I go, the stores are a mess, and I can never find my size (they sell out so fast!) I have heard the online shopping experience is better so I might take a chance to order something. My favourite Zara item is rather boring… nylon camisoles, I own several of them in different colours. I don’t like ZARA’s online shop but they tend to have more sizes available. I sometimes love ZARA. The store is a bit hit n miss for me as it isn’t always my style.